Let's hope these impressions hold up. As short as a week ago, I realized that I had mentally associated new 'FIFA' game features with large doses of sleep-inducing tryptophan. Ever since the jump to the current consoles and the ensuing cash-in 'World Cup Brazil' game, I wondered if 'FIFA' would ever really threaten to grab me. That changed today. Not only does 'FIFA 17' have an extremely promising 'The Journey' mode where I can direct the saga of Alex Hunter, but the change to the Frostbite engine has brought with it new physics. At last, I can run near an opposing player without immediately stopping. I can also (it's really shocking to me) move up with the ball while another forward moves up in parallel, spreading the defense before one of us takes a shot on goal. EA says the new system is not tied to specific key-framed animations, but instead, the physics interaction initiates a delineated deformation. That may or may not be true, but the feel and the look of the players are smoother than anything I've seen before in a sports sim. At one point, I just did a defense drill over and over, often stealing and deflecting the ball, often tripping the attacker, and yes, often times missing the intercept. But after 20-30 times, I never felt like I was on a spline or else, that the player was trying to rush an animation in order to catch up to an input. And some of the moves I saw, like the new corner kicks and penalty kicks- and the fake pass! If I can't learn to play that well, I should at least be able to watch some great players pull them off. Playing on the Xbox One, and the look of the game was a dramatic step up in presentation. It's not perfect, but there is a lot to appreciate. The camera control, both on its own and in my hands, is a major improvement. Of course, I wouldn't have even checked out a normal match had it not followed an enthralling session with Alex Hunter. He's the footballer who seems destined for a rough patch. A phenom that makes it to the Premiere League only to have a frenemy supplant him (at least temporarily). In the demo, Alex has to ride the bench, and has to answer attitude check questions via a Bioware style dialog wheel. But in a 1-1 match, his number is called. Once in, and Alex has several performance goals that are tracked in the upper right corner of the screen. While I should have been focused on scoring a goal, I knew that Alex also needed ten good passes in order to impress the club. Afterwards, the media asked Alex why he hadn't managed better than a draw. This made me immediately want another shot. To be fair, I love the melodrama and dialog. If Alex gets loaned to another club, then it really is just another challenge. My one concern is that, as promised by EA, Alex's performance is decided on the pitch and not via a virtual currency. This new mode, as well as the engine transition, represents at least two years of work. Right now, that seems like time well spent. 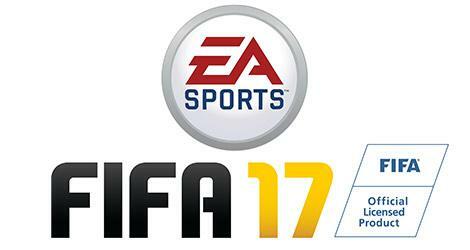 You can find the latest info on 'FIFA 17' linked from our Video Game Release Schedule.